The Guru Hostel is a little jewel hidden in the swirl of Budapest. If you desire for real recreation and distraction, please visit us. The main point of our hostel is the ensurance of leisure, relaxation and tranquility at the possibly lowest prices. We receive our guests in a friendly and cosy atmosphere, in a clean environment with a lot of green plants. 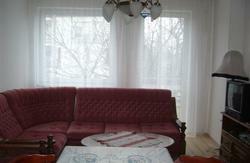 In the common room we have an all-equipped kitchen and a dining and tea corner. By us even the dormitories are roomy and friendly, not overcrowded, it belongs a separate shelf and reading lamp to each bed. 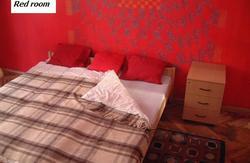 Reception, hot water and free usage of wireless in the whole area 24 hours in a day. Hair-dryer, towel, bed cloth for free, simple tea and coffee, wake up service. Check-in from 14.00 to 01.00. After 01.00, exact arrival time is necessary. Transfer to the hostel is possible, please contact us via email or phone with your details. By night: From the Airport by bus 900, at Ulloi str. change to bus 950. An average price for the airport transfer is about 3900 HUF / 17 EUR. It takes about 30 minutes. 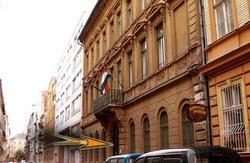 The hostel address is: 1162 Budapest, Andrassy str. 53, 2nd floor.